Bathroom Accessibility- Why a Wall-Mounted Toilet? Space savings: Wall-mounted toilets are a great choice for smaller bathrooms because the bowl and actuator plate are the only parts in the room. The outer tip of the bowl is up to 12 inches closer to the wall, which can make a huge difference in a small bathroom. Easy cleaning: Because the toilet bowl doesn’t touch the floor, cleaning the area around the fixture is much easier. Adjustable height: When installing a wall-mounted toilet, the remodeler can customize the height for the homeowner. This is especially helpful for people with mobility issues who might need a higher toilet. Clips and wedges, clips and wedges, so many clips and wedges. Wet rooms are particularly good for those whose motion is restricted, such as the senior or a person with disability. There is no demand for a shower tray, making access to the shower much easier. 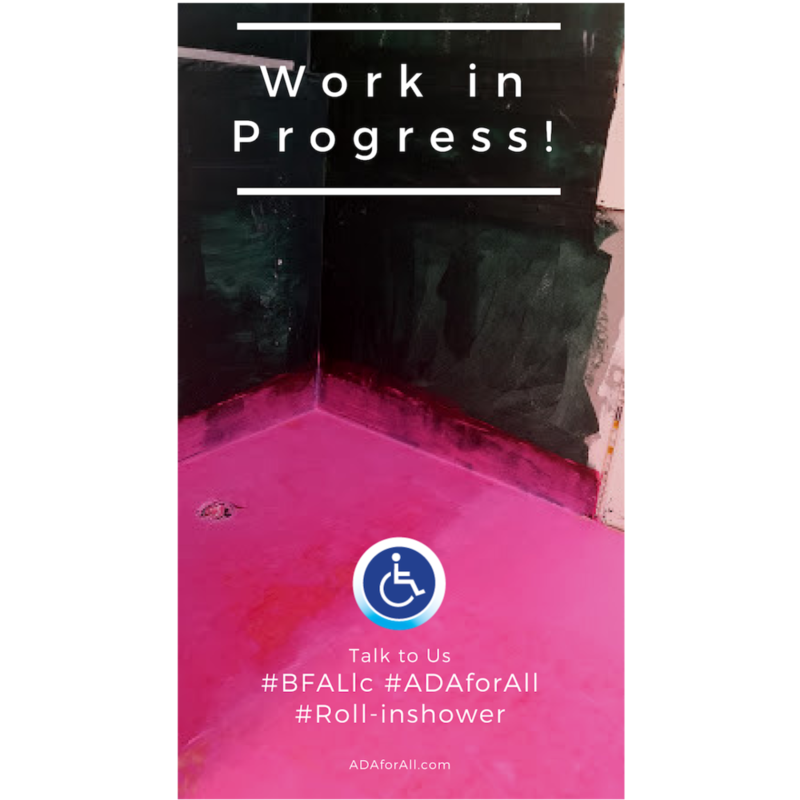 Progress photos from the latest job by BFA,llc . Well done!!!! Imagine having a friendly and reliable person to help you make your Dream and needed Accessible Home modifications. BFA llc makes it possible for your loved one! Progress photos from the latest job by BFA,llc. Well done!!! !